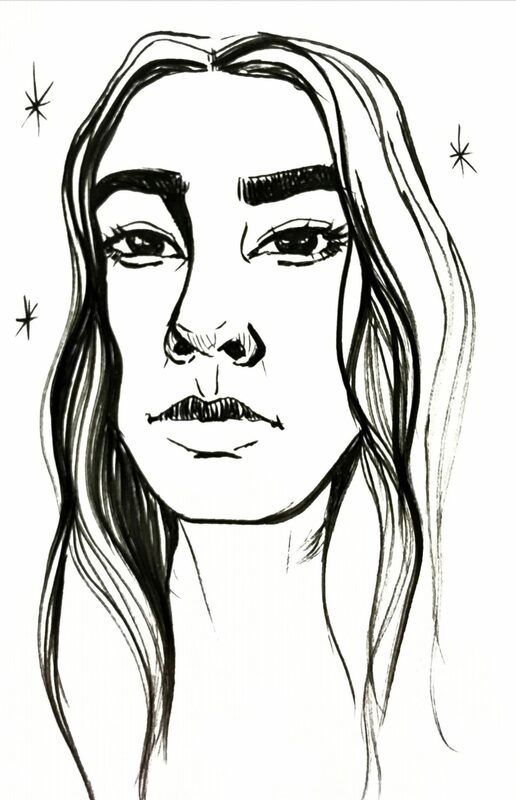 Liliana Solorzano is a 28-year-old tarot guide and magic practitioner living in East Los Angeles. 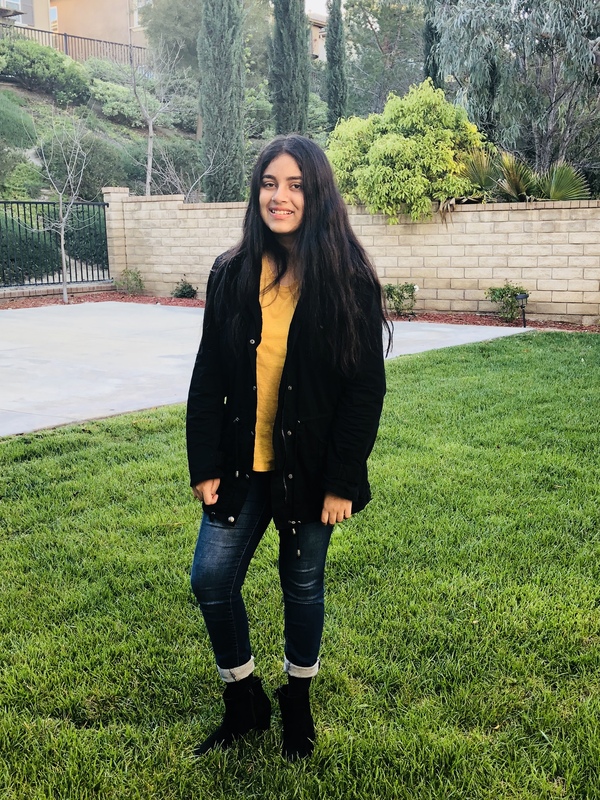 Tarot and magic have been an integral part of Liliana’s life since she was young, and she views it as a way to connect with one’s innermost thoughts and feelings, and to care for her spiritual and mental well-being. 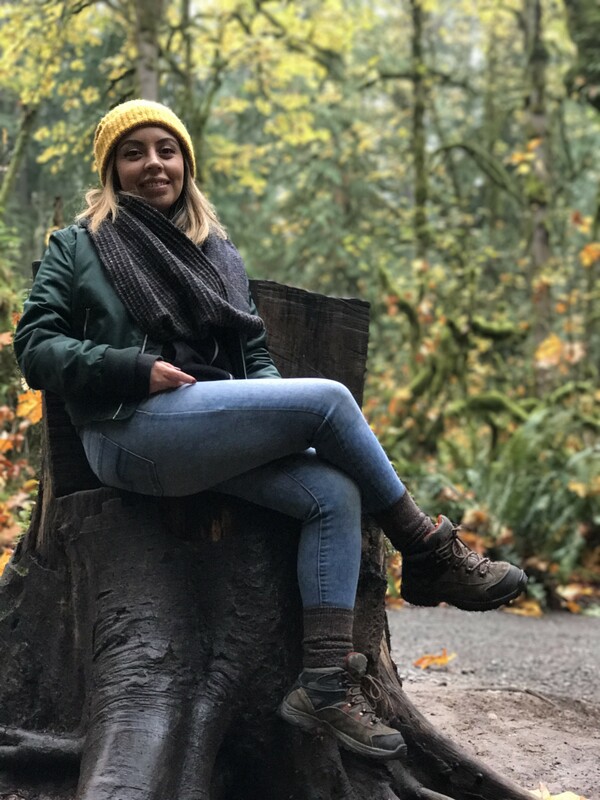 Learn more about how Liliana uses tarot and magic for self-care, spiritual healing, and to care for her mind obstacles in the interview below. Also, download her free PDF guide on tarot for beginners, and experience a 3-card reading Liliana did for The Strange is Beautiful readers. What is tarot and how is it a form of self-care? Tarot is a set of cards most commonly known for their use in divination or fortune-telling, but they can absolutely be used as a tool in our self-care practice as a way to reflect, transform and gain clarity and direction. Tarot can be a way for us to connect with our innermost thoughts and feelings leading us to moments of healing and a sense of empowerment. When and how did you discover tarot? Tarot came to me as a side effect of my magical and spiritual journey. I read about it in a book when I was about 12, and combined with my limited exposure to it through media and passing by little shops in my neighborhood, I was intrigued. It seemed cool, witchy, fun and I so wanted in. I was a witch in hiding at the time, so all I could get away with was a pack of regular playing cards – that’s where I started. I didn’t get my first REAL tarot deck ‘til 2010. I was 20, confused, unmotivated, absolutely lost. 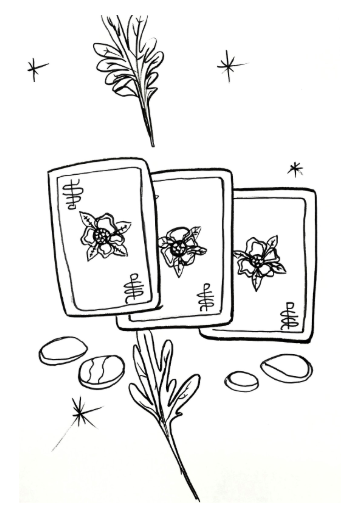 I didn’t know it then, but a pack of cards was about to become one of my most powerful allies as far as finding some direction and dealing with my cycles of self-sabotage and other mind obstacles. Can tarot be used to help treat mental health issues or mind obstacles? Yes! Tarot has been such a helpful tool in my life for working through mind obstacles, feelings of imbalance, anxiety, depression, and general disharmony and powerlessness. Since it’s been so amazing to me in terms of finding direction and feeling empowered, I try to focus my reading the cards in a way that will help my clients find a sense of direction and truly step into their power to carve their own path. What healing benefits does tarot have that can’t be found in more “conventional” approaches? Tarot is something that you can do for yourself. Anyone can learn and reap the benefits of having the cards at their disposal. Of course, it is beneficial to seek a Tarot Guide/Reader for an unbiased reading since messages may get a bit foggy when we read for ourselves in the midst of big events. There is also an element of compassion and humanity I feel we don’t get too much in conventional approaches. 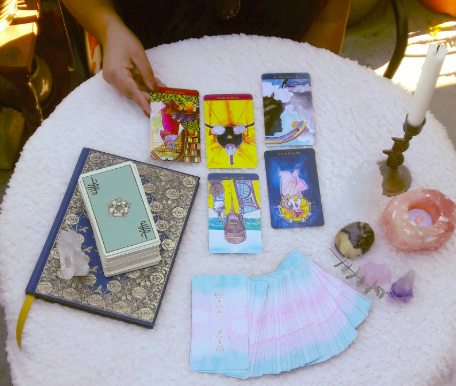 Whether we read for ourselves or receive a reading from a tarot guide, I feel tarot gives us the opportunity for deep reflection, as well as practical and spiritual steps towards healing in a more heart centered space. What advice would you give someone who is interested in tarot but doesn’t know where to begin? I’d say grab a deck, a journal, and a good reference book and just start! I feel like the most important tool you’ll have in tarot reading is your intuition. We all have it, we can all feel something when we look at a picture. What’s your first reaction? Write it down. Books are great too and I do think they’re important for getting a handle on the foundations of tarot. There is so much symbolism and so many cards it can be really daunting but trust yourself! 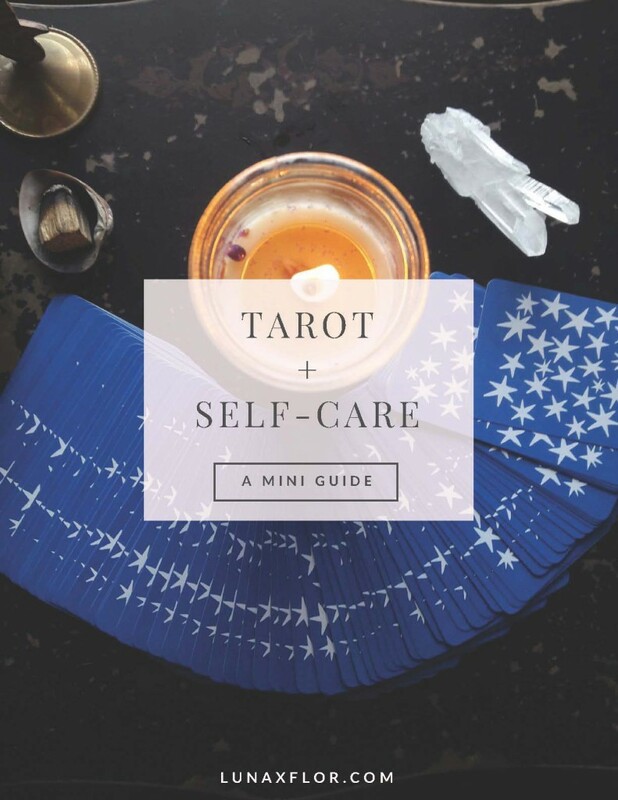 You can also try out Liliana’s beginner’s guide to tarot called “Tarot + Self-Care: A Mini Guide.” This PDF guide was accessible and easy for me to understand. As someone who knows nothing about tarot, I found myself following along without any confusion. Liliana describes each aspect of tarot in an interesting and informative way. Readers can learn about the structure of tarot, how to conduct a tarot reading, different tarot spreads, and Liliana’s favorite books and decks for tarot beginners. Since the PDF was about tarot and self-care, I think it would have been good if Liliana had included a little more information about self-care and how tarot can contribute to that. The prices of each of the tarot decks that she suggested are: $40 (Wild Unknown Tarot), $20 (Morgan Greer Tarot), $48 (Sasuraibito Tarot), $20 (Dreaming Way Tarot), and $24 (Smith-Waite Centennial Tarot). One deck on the list, the Numinous Tarot, didn’t have a listed price because it was sold out. These tarot decks vary in price, but I’m not sure if they would all be accessible for most people, especially those of lower income. However, some of the cheaper ones may be easier to obtain. Trying out tarot did help me personally; although I was skeptical at first, it allowed me to spend time with myself and indulge in some much-needed self-care. I would recommend that those struggling with mind obstacles check out tarot in order to expand their worldview and experience healing. How would you describe your practice of magic to someone who has no knowledge of it? My magical practice is deeply rooted in personal transformation and self-care through dream work, ritual, sigil crafting, and energy work as well as tarot. The main purpose of my magic is to attain a sense of wholeness and connection with the Universe. Is magic and ritual a form of self-care for you? Absolutely! I feel like my interest in magic and ritual really came as a way to find a sense of myself. 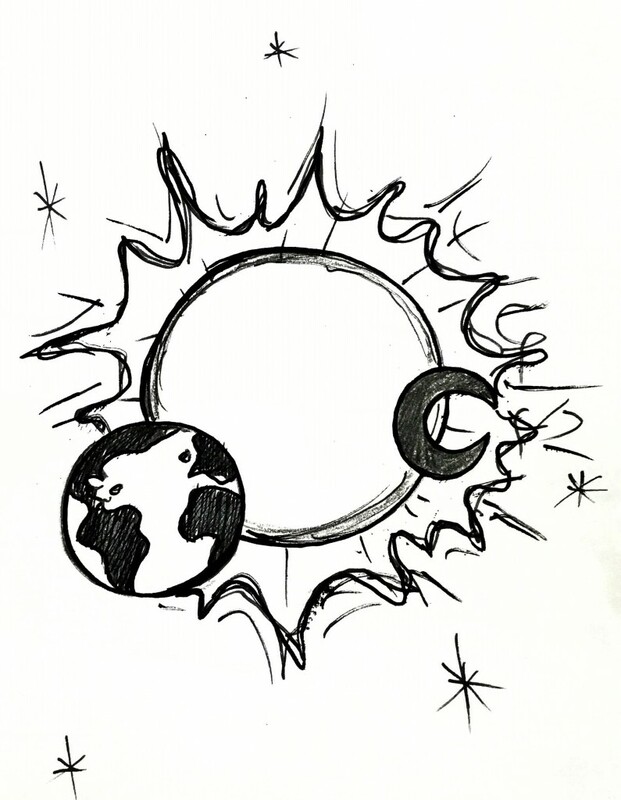 I started this whole path as a child and most of my years practicing have been focused on the earth, the sun, the moon, and finding out and caring for my spiritual and mental well-being. There is nothing like sitting in sacred space and communing with the divinity we carry within. Has being a person of color influenced your healing practices in any way? It’s been complicated because my family is Catholic Mexicans and very against anything that strays too far from that, and I’m all the way on the other end of it! So even though I know magical and spiritual practices exist in my own culture, I wasn’t exposed to them. I’ve had to make my own way of it which hasn’t been too easy. The closest thing to magical my family gets is herbal medicine, they love to garden and love learning about herbs and their healing benefits. And we’re moon watchers, but that’s about it! On the other hand, most of the spiritual practices I ran into in my reading as a young seeker were European traditions, so I always felt out of place there too. It’s been a strange ride, neither here nor there but I’m happy with the practices I’ve created for myself. We asked Liliana to do a tarot reading special for The Strange is Beautiful on the topic of healing from traumatic experiences and womxn’s empowerment. Below is her reading. In light of the social, cultural, and political climate of today’s world, a lot of us have found ourselves carrying trauma. It may come directly from this lifetime or generations before us. Today we’ll be asking for guidance in our healing process from the Numinous Tarot by Noel Arthur Heimpel. There are three guide cards: body, mind, and spirit. Each is advising us on the various ways we can cope and move forward in our healing journey. The Nine of Tomes speaks to being comfortable in your own skin. The figure is content and stands in an airy tome filled room, they’ve reached a level of self-knowing that exudes grace and confidence. This can be difficult after traumatic experiences, but this card shows up to remind us that it’s possible to become ourselves again. The process can take time but with self-compassion and patience we can begin to know who we are again. The Nine of Tomes guides us to reconnect with our bodies through self-care. Take a luxurious bath. Eat some delicious food, drink plenty of water. Write yourself a love letter, lay in the sun if you can. Really take time to feel your body and appreciate it for carrying your soul through this life. The Sun brings mental clarity. When the night has the mind feeling cluttered, worried, and fearful, the rising sun shines a light on it all allowing us to see truth. In the moonlight, we only see half-truths, true clarity arrives with the morning light. The Sun card reminds us that the night isn’t forever, and things will be better in the morning. The featured radiant figure is surrounded by tiger lilies, these are symbolic of vitality, confidence, and pride. Always remember that the power to clear mental blocks exists within you. If you find yourself up all night with negative thoughts that you feel will race on forever, you may wish to write them down, release them onto the page and try to let your mind rest. The next day or when you have the energy to do so, channel your inner Sun and clear the blocks by setting positive intentions for your day. The Diviner (traditionally High Priestess) floats in the starry sky like an otherworldly being, they bring a fitting message for the spirit: Listen. This figure is the inner guide that exists within all of us, calling for us to be receptive to the messages from the universe and our intuition. The signs are all around us. They manifest as that gut feeling, the little coincidences, the things that catch our eye when we’re walking down the street. Or even the stuff we’re drawn to when we’re reading a book or watching TV. The Diviner asks you to listen to your dreams and the symbols within them. What do these signs mean to you? To exercise your intuition, you may wish to keep a journal to record dreams as well as little things you feel mean something to you. It’s okay if you don’t figure it all out right away, the important bit is that you trust yourself enough to listen. As a tarot guide and magical practitioner, Liliana is able to help herself and others reflect upon their deepest thoughts and find spiritual clarity. Her healing practices have been useful in confronting mind obstacles such as anxiety and depression for herself and for her clients. Interviewing her helped me realize that although some self-care and healing practices may not be seen as “mainstream,” they are still beneficial for many people. Learning about unconventional healing practices such as tarot can help people become more open-minded, and encourage them to seek out alternative healing. *Must be 18+ to receive a reading from her. All her policies are here. Delivered via email in 3-5 days with downloadable PDF and image. Sessions are offered in the East Los Angeles, CA area. Liliana can be found on Instagram @lunaxflor and on her website. To schedule a tarot reading session with Liliana, visit her here. She also holds monthly tarot gatherings, more information below. Tarot Gatherings are a monthly meetup run by Liliana of Luna x Flor Tarot where tarot seekers of all levels can get together and learn tarot from each other, ask questions, explore specific topics, and express their views on the cards in a judgement free environment. The purpose of Tarot Gatherings is to provide a safe space for people to explore tarot through their own lens. 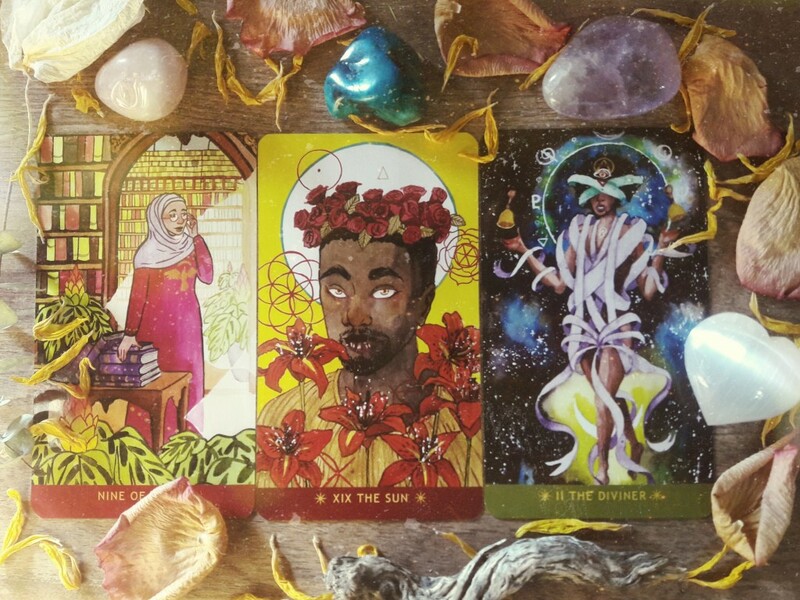 The cards can be such a valuable tool for self discovery, self-help, and deep healing but there is a glaring lack of free or affordable tarot resources for QTPOC in the community. 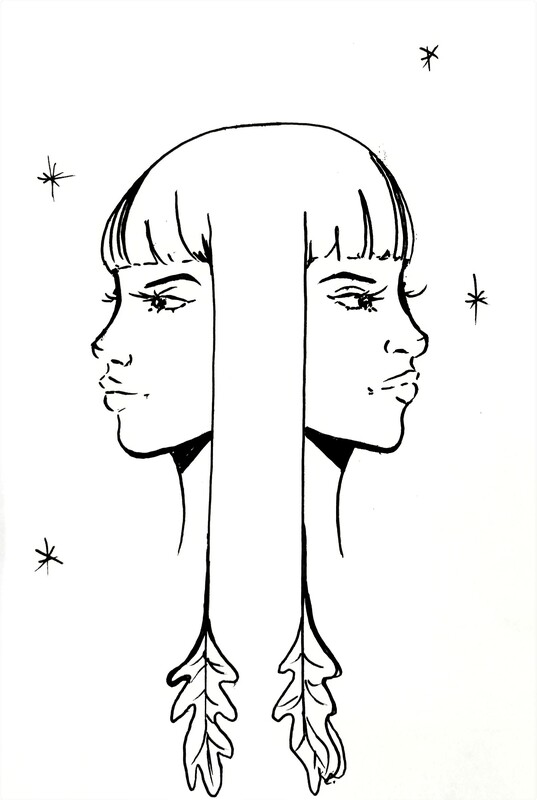 Luna x Flor strives to be of service and hold this much needed space for Tarot seekers. The meetups are free and held in the East Los Angeles/Boyle Heights area, all you need to bring is your tarot deck, a journal, and a curious mind. To learn about future gatherings subscribe to Moonflower Mail at follow @lunaxflor on instagram.